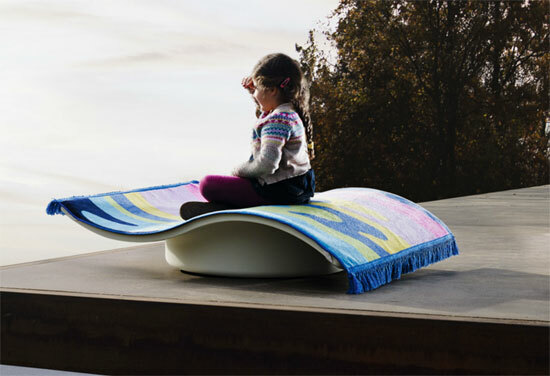 Now this is a cool piece of design for kids, an Eero Aarnio-designed Flying Carpet for Magis. As you can see, it is based on the mythical magic carpet and as such, really plays to your child’s imagination. But this piece from the master of space age design is more versatile than that. For a start, it is goos for indoor or outdoor use. In addition to that, it rocks, replicating the movement of the magic carpets of books, TV shows and movies. But it’s also just a seat, a place to hang out and look cool. It is also one more thing – quite expensive. This designer piece comes with a designer price of £711.